Chinese maker Eric Pan from Seed Studio explained why, according to him, manufacturing expertise of China can contribute to Maker movement, not only in the prototype stage but also in the actual production process. In China, he said, concepts of Open Source are put in practice in the Shanzhai economy, so what we should do is leverage all these already existing manufacturing resources. After the long-tail economy (decentralized, flexible, standardized), a customized economy is coming (based in service, digitalized, shared). In 2013, Pan was featured in the Forbes China list of top 30 Chinese entrepreneurs under 30. Hannah Stewart from The Creative Exchange and Hwa Young Jung from Future Everything introduced us Numbers that Matter, a Manchester-based project aimed to obtain and analyze data from everyday life communities. A goal of this already finished project was to make members of these communities aware of the information footprint that they generate, and establish what data are meaningful to them. Focusing more on humans than technology, they also talked about how difficult it can be to bring open source, data and maker culture to a real , not idealized, community of people. We have a really interesting interview with them that we will publish in the coming weeks. 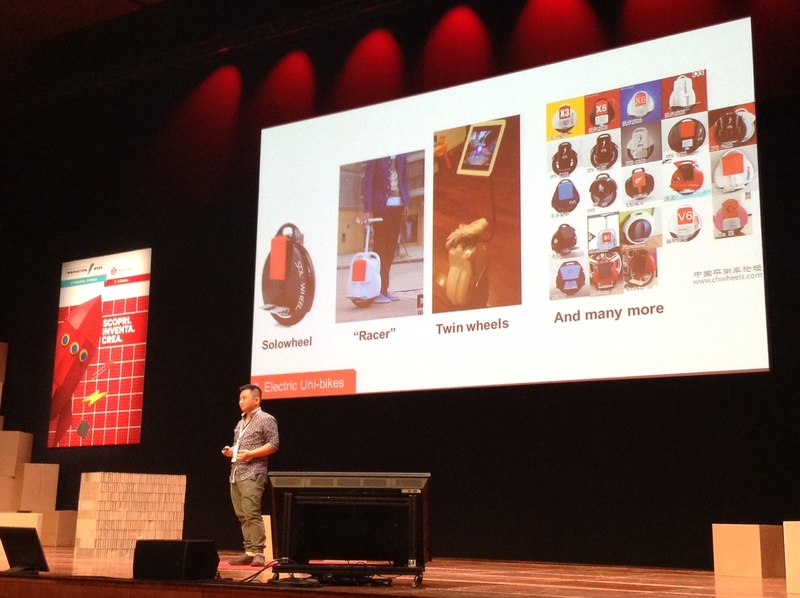 One of the most awaited speakers was Adrian Bowyer, creator of self-replicating 3D printer RepRap. With genuine wittiness Bowyer delivered a magistral lesson, transporting us for a while to an university classroom where him, the professor, explained that his creation is much more than a 3D printer. 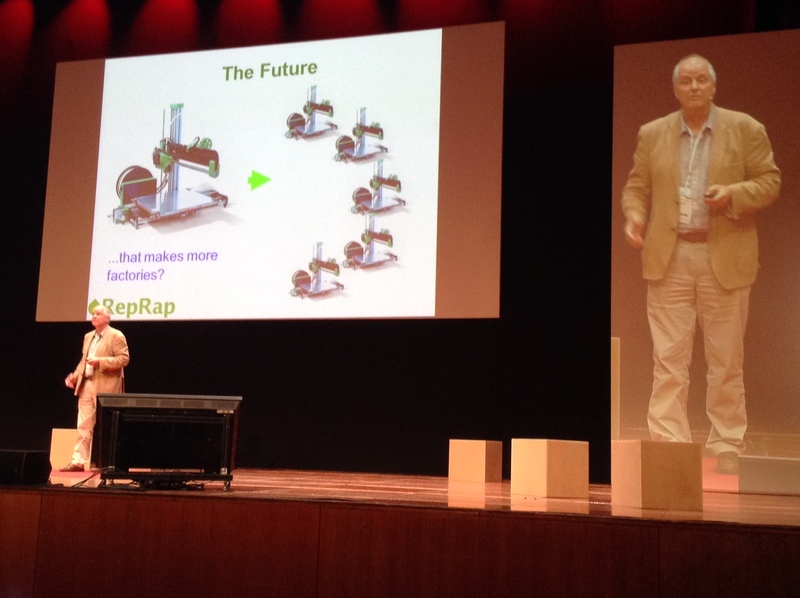 Like Nature, RepRap is a self-sustaining system and, according him, properly utilized it can help to save Nature. He talked about self-repairing machines, and biologically grown plastics that one self can grow. In this self-sustaining system, RepRap acts as flowers in Nature, being pollinated by humans to produce nectar which would be 3D printed goods. Close to the end, John Dimatos from Kickstarter presented us some open source hardware crowdfunded experiences as BRCK, Neolucida, Hexy the Hexapod, and Infragram. Dimatos, former MakerBot Head of Applications, let us also some catchy phrases like “Money gets spent, a community lasts forever”, highlighting the importance of communities, or “Open source hardware doesn’t even use the word transparency, it’s just what you do”, talking about the integrity of the open source hardware movement. At the end of the event, we get out of Parco della Musica full of excitement. During the OHS 2014, so many innovative, original and creative proposals were exposed, that it was difficult to focus on just some. 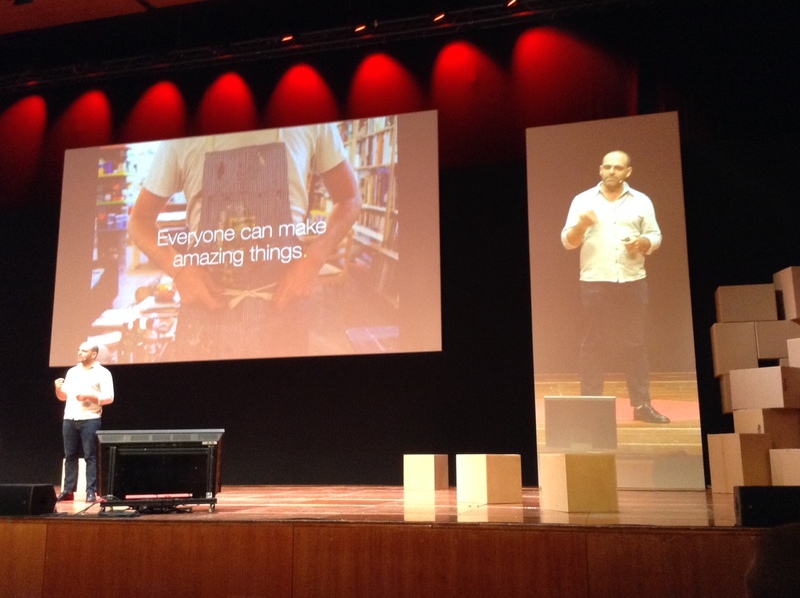 Open Hardware is the driving force of a complete new way of making things, and the implications of this is far reaching, with economical and social consequences of deep impact. What we saw at OHS was just the tip of the iceberg. More Innovation Week events to be recapped on this blog shortly. 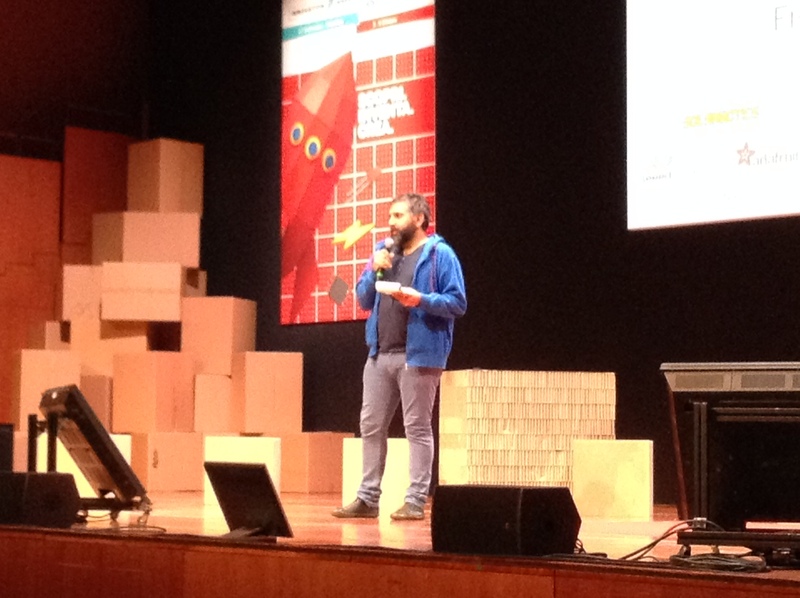 We also made interviews with Simone Cicero, Co-Chair of the Open Hardware Summit, and Nick Ierodiaconou, Co-Founder of OpenDesk and WikiHouse, that we will publish soon on this blog. So, keep it tuned.